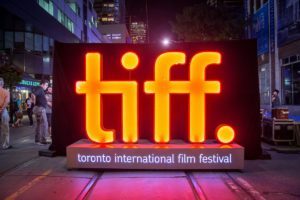 On the last of the ten days celebrating cinema at the Toronto International Film Festival (TIFF), I was lucky enough to attend two movies: Donbass and The Third Wife. Donbass, directed by Sergei Loznitsa, is a Ukrainian film depicting the normalized social degradation among the lives of the people in the titular region. For those of you who are don’t know where this is, Donbass is a war-torn land between Eastern Ukraine and Southwestern Russia. With only that little bit of context, you can already start preparing for the intensity contained within this film… Well, that was my attitude going into the Scotiabank Theatre. I soon realized that this stress was unnecessary, as this was a dark comedy, a “mockumentary”, to be precise. Played out as thirteen segments, the plot — if any — deals with propaganda, nationalism, communism, impoverishment, et cetera. I had to control my giggles at some points; other times, my eyes were half-closed for fear of the impending violence. At any rate, you would come out being more than grateful for living in a peaceful country. It made sense that the director chose to work with a non-linear editing to incorporate all that density. Earlier this year, Loznitsa won the Best Director award for Donbass in the Un Certain Regard category at the prestigious Cannes film festival. It is easy to understand the jury’s decision. The story revolves around May, a 14 year-old girl who becomes the third wife of a wealthy man, and her exploration into womanhood. I can’t give enough praises for My Nguyen Phuong Tra, the lead actress, who took on such a mature and demanding role only at the age of 12. The film unfortunately pales with a slow pace and an over reliance of color coding and overtly sensual. Unfortunately, the cinematography doesn’t propel forward an otherwise compelling script. The camerawork satisfies the eye, yet it feels like a complete separate entity from the plot. Still, The Third Wife won the Network for the Promotion of Asian Cinema (NETPAC) award at TIFF and drew a considerable amount of attention to it.